Impeccably presented throughout, this top-floor apartment overflows with appeal for first home or investor buyers. Focused on easy living, it displays a stunning French provincial kitchen, open living room flows to a sunny open-air balcony and two bedrooms anchored around a fresh bathroom. Centrally located within a comfortable stroll of Adamstown's vibrant shopping village, train station, shops and cafes with the CBD less than 10-minutes away, this is an appealing property with all the foundations in place for a relaxed and easy-care urban lifestyle. 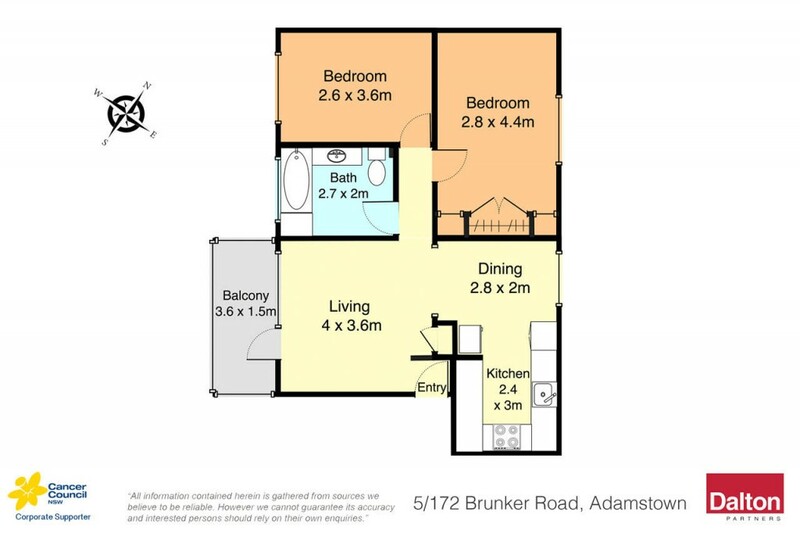 * Superb lifestyle location, close to all the highlights of Adamstown village. * Inviting living room extends to a sunny balcony. * Stylish kitchen with farmhouse sink, French inspired tapware and stainless oven. * Two well-proportioned bedrooms, with built-in-robe to the master. * Immaculate high-gloss timber floors, modern window coverings. * Fresh, modern bathroom featuring a shower over the bathtub. * Easy off-street parking leading to a secure single garage. * Central to the racecourse, shopping centers, beaches, Fernleigh track. Council Rates: $1,184 PA approx. Water Rates: $654 + Usage PA approx. Strata Levy: $1,724 PA approx. Rental Potential: $345 PW approx.